However, the price of the Striker is $800! I don’t know about you but that’s the price of a Canon Rebel T3i with lens kit! 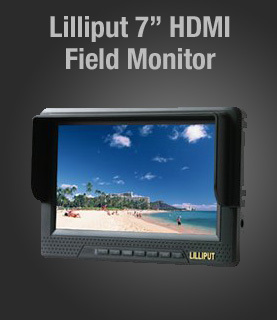 If that seems a bit steep for your production budget, I’ve found a solution that is under $100 and works just as well. 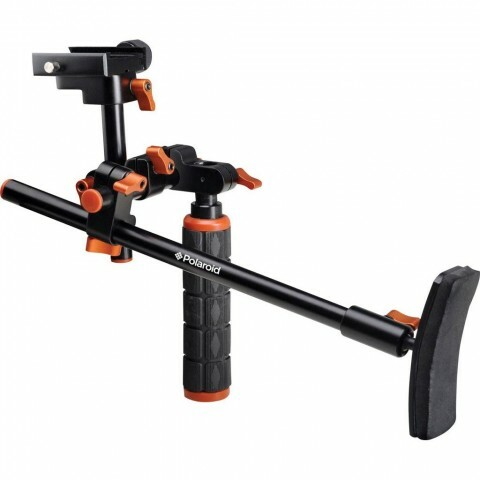 I’m not kidding that there is a decent camera stabilizer for under $100. 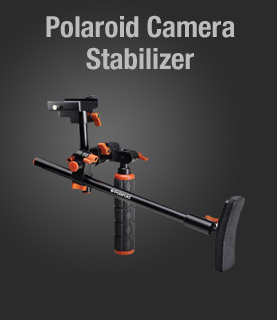 The name of this stabilizer is the Polaroid Video Chest Stabilizer Support System for DSLR Cameras. Ever heard of it? I certainly hadn’t until now. You might think for the price, that this is just a cheap piece of plastic tubing but in fact, the tubes are aluminum! That means light weight! And there are quite a few adjustment knobs that allow you to easily configure the stabilizer for your body and camera. This is perfect for run n’ gun situations. 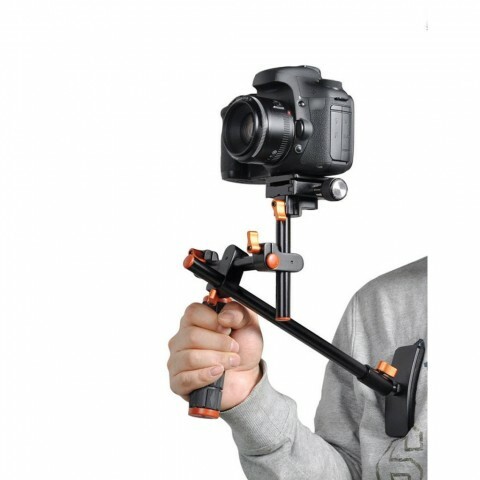 It features a removable base plate and others have said they have attached a Manfrotto Quick Release Plate for additional versatility. 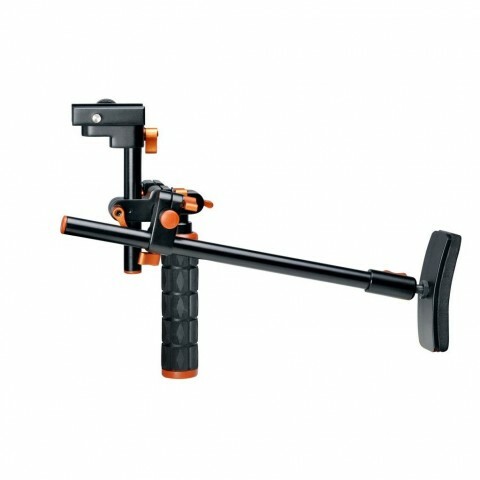 The Polaroid Camera Stabilizer uses standard 15mm rods so it is compatible with other systems that use this particular size rails. 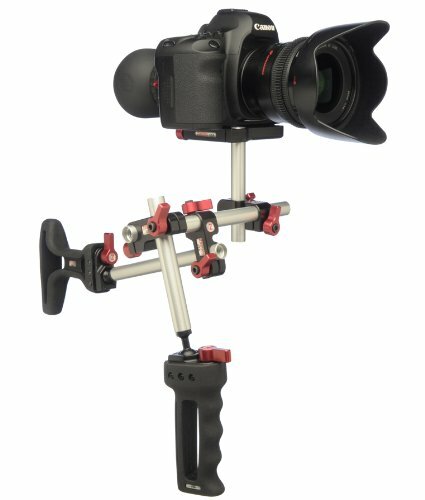 While a Zacuto product, or Red Rock Micro will cost you somewhere around ten times the price of this product, the budget shooter will happily make due with this guy. It’s sturdy. Made out of metal. Not too heavy. In the event that you desire to configure it WITHOUT the handle, it can be setup like the Zacuto target shooter as well as the Striker…add a follow focus and you have the Cross Fire. 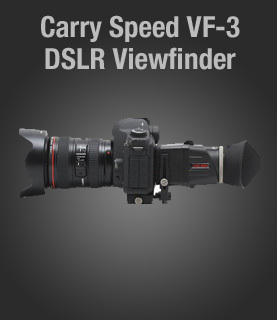 Easily holds my Canon T2i/550D with a midrange zoom lens and Videomic no problem. The Polaroid Video Chest Stabilizer Support System for DSLR Cameras is available at Amazon for $59.99 with free shipping. In fact, that’s really the only place I could find this gadget for sale! So what do you think? 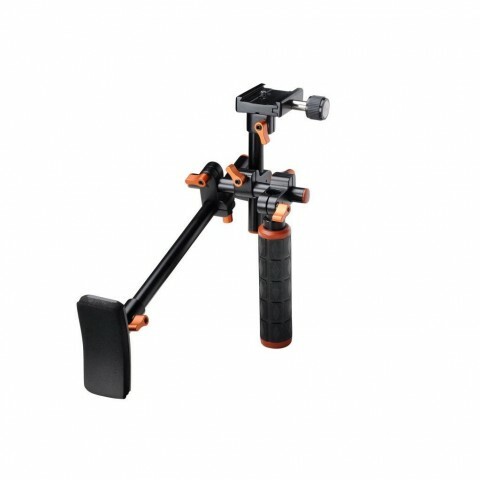 $800 for the Zacuto Striker vs $60 for the Polaroid Chest Stabilizer? For the budget producer, I think the Polaroid stabilizer will do the job just fine! I hope this little find helps you in your pursuit of great video making while saving you some money!